If registered inside South Africa then it is not necessary to register as a voter to be placed on the voters’ roll again. Should a South African citizen not be registered as a voter on the voters’ roll in South Africa the following procedure should be followed. The period for registration abroad/out of country is open until the proclamation of the NPE 2019 election. * An ID document or Smart ID card or Valid Temporary ID Certificate (TIC) AND a valid South African passport. After the elections have been proclaimed by the President, South African citizens abroad will have the opportunity to register to vote abroad. In order to be eligible to vote abroad, the voter will have to inform the Chief Electoral Officer via the completion of an online VEC10 of their intention to vote outside of the Country. 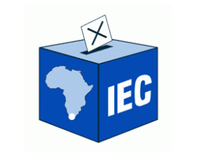 The online VEC10 will only be available on the website at www.elections.org.za from the date that the NPE2019 election is proclaimed, for a 15 day period. Die Konsularabteilung der Südafrikanischen Botschaft in Wien ist zuständig für Einwanderungs- und Konsularangelegenheiten für österreichische, slowenische und slowakische Staatsbürger sowie für Konsularangelegenheiten für südafrikanische Staatsbürger in Österreich, der Slowakischen Republik und der Republik Slowenien. Klicken Sie bitte Hier um zur ROSA-Website zu gelangen.